Coming at you live from Von’s market with an introduction to meal prepping and how I do it! 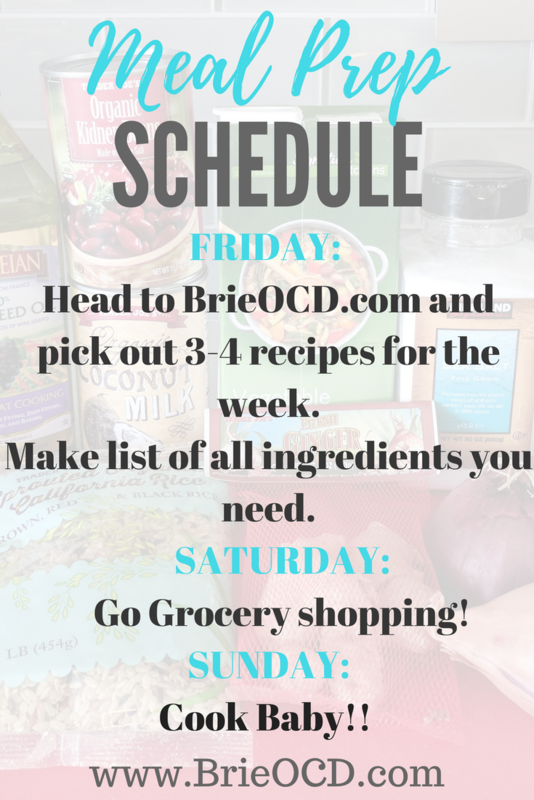 I usually go through all of my recipes Friday or early Saturday morning and pick out what I want to make for the upcoming week. I write a comprehensive list of all the ingredients I need. Then Saturday after I go to the gym I head to all of the different markets I need to pick up my list of ingredients. Then Sunday I drink copious amounts of coffee and eventually I turn on the music and start cooking! I try to pick at least one new recipe a week so that my husband and I aren’t eating the same thing week in and week out. However, I too, am guilty of picking the same recipes over and over again because its easy and I am being lazy. In the video below I am live at Von’s market EARLY on a Sunday morning picking up ingredients to make Chicken Pad Thai. I had never made it before and was nervous about looking for all of these foreign ingredients. As soon as I got there I asked the Von’s grocery guy where to find shallots and easy peasy he led me there. I then walked over one aisle and found the rice noodles. I had nothing to be nervous about! Moral of the story is just ASK for help. Don’t be afraid to ask for help at the grocery store or just in life in general. You don’t get what you don’t ask for! Be adventurous, try new things and have fun in the kitchen! What’s the worst that you could happen? You cook something you don’t like? Oh well, there’s millions of other recipes out there and you never know… you could stumble upon your favorite recipe!